What usually happens when I say “web-to-print” ecommerce store? There may be some fancy or something. No, it’s not as huge as it sounds. The concept is smooth and clear. You have an eCommerce Storefront that offers different products. And web to print software gets installed so that customers can design any products according to their level of creativity. Also, the store-makers can upload print-ready file, print and distribute ideas according to the customer’s choice. Various eCommerce Storefront owners are willing to install product optimization software as per the wish. There are various storefronts, one of the largest online marketplaces offering product customization with the help of unique features. Product customization software is compatible with industries latest platforms and its versions like Magento, OpenCart, WordPress, and PHP. Customers can design their product with the help of product design software as per their likings. There are numerous storefronts, which are offering product customization and are the largest online marketplace because of its unique and latest features. To deal with the ongoing trend going on in the market, iDesigniBuy’s offering online web to print software which is customer centric and is full of the latest features. Can be integrated with all industry leading platforms. Customization as per customers’ expectations. Offers huge library having more than 1000+ texts, clipart’s, images and templates for personalizing as per consumer desire. Supports all files and formats for printing. Fits perfectly with products and its surface. All platforms integration: As mentioned in the title, product customization tool can be installed and works smoothly with leading eCommerce platforms that ensure the owners and make them relax about their eCommerce website and its platform. It is significant to integrate the software and offers the best customization options to customers. Customization as per expectations: Clients from different verticals have approached previously to iDesigniBuy for installing the product design software with their ecommerce website. We offer end to end customization solutions as per business requirements. Therefore, if you want to add features or options to your existing software, we will help you out with the one-stop solution according to your choice. Feature-rich library: Product configurator comes with a versatile and feature-rich library, enabling the customer with never ending options. No matter what topic they want to use to optimize their product, they can use their creativity with their rich feature library, with over 1000 templates and clipart for designing. The templates and cliparts are created in such a way that it is fully fit and creative with the products based on customers’ needs. Also, you can add a template as per your likings. Mobile first approach: Omni channel model is a crucial aspect and most importantly mobile responsiveness of online eCommerce store. This is the reason why iDesigniBuy develops its software that is all devices compatible and are mobile friendly. No matter where your customers are and what their access is, they will be able to design their products according to their choice. Social media sharing: It is good to have social media active customers. Our web to print software comes with social media button and uploading options, helping them to showcase their creativity and share with their loved ones. Therefore, let the customer stream their art and creativity on various social media platforms like Facebook and Twitter. Workability: Customers are not more stressful on the types of print files you provide. 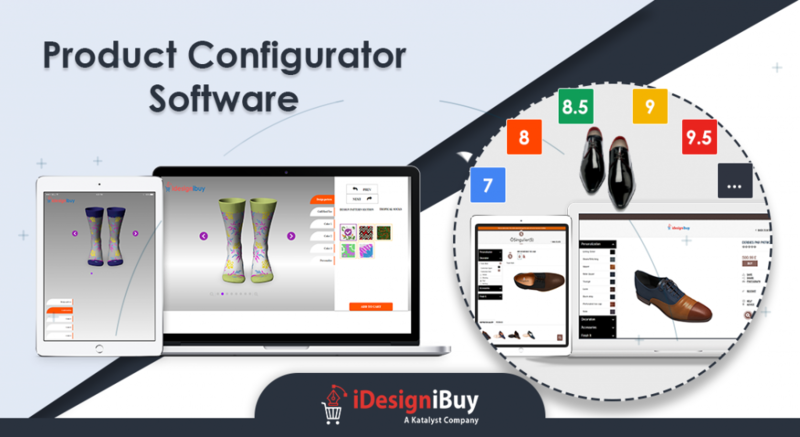 iDesigniBuy’s product configurator works seamlessly with all type of file formats. There is no need to ask a customer to resize the files or compromise the quality of the file. No matter it is in .jpg, .jpeg, .PDF etc. Fit for all products: This is no condition with the printing of the products no matter if they are shoes, pen drives, bags, pen-drives with the help of web2print software. It must be avail with a smooth printable surface. Just add a printable product that you want to sell at e-store, and allow the client to design and prepare a file to print. These are just a few aspects; we discussed about product design software. Our software comes with latest customization options that make it one-stop solutions for the enterprises in this tech-drove industry. Why Opt iDesigniBuy As Your Customization Software Provider? Next Next post: Why it is essential to have clothing customization software?